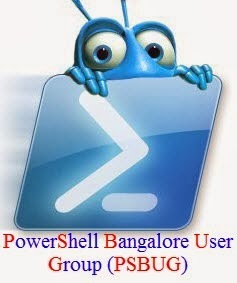 Recently I was working on a PowerShell project and faced a challenge which I came to know as very important to share when I got the solution. ITS NOT A GOTCHA !!! My intention was to get IPv4 DNS Addresses only , So I tried to filter with 'Address Family' and the output was null, nothing !!! I thought of investigation it and tried Select-Object on AddressFamily property and I got bellow output which is really unexpected. 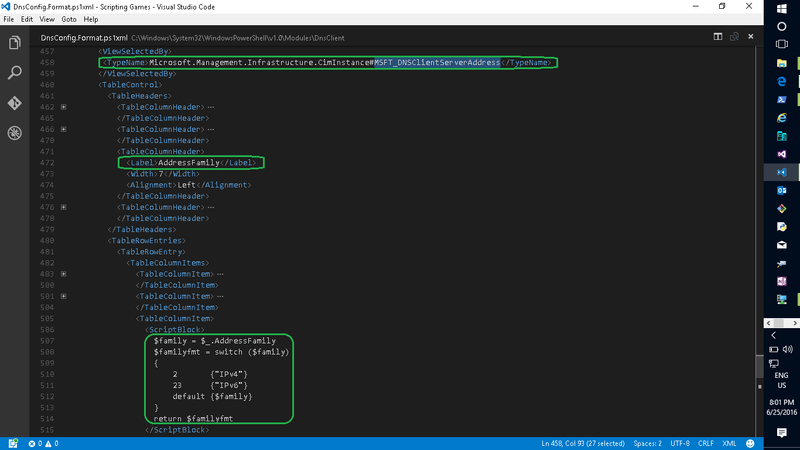 First we need to know in which module this cmdlet is in to explore the module specific formatting file. I got to know that this cmdlet belongs to 'DnsClient' module, so next we have to go to the module folder for further investigation. Lets open the module folder with a one liner. Here we got the Module specific formatting file for DnsClient module, now we need the type of object generated by Get-DnsClientServerAddress cmdlet. Lets open the formatting file and search how they configured formatting for this type of objects. Here we got how the formatting is done for this cmdlet. you can see here for the Property AddressFamily there is a respective script block which outputs 'IPv4' and 'IPv6' based on the actual value for AddressFamily. Similar formatting is done for many other PowerShell cmdlets like Get-Process, Get-ChildItem etc.